A Strategy is simply a set of up to 12 mutual funds or ETFs selected to manage an investment account. For example, a Strategy may focus on country funds, sector funds, index funds, income producing funds, or conservative bonds and treasuries. 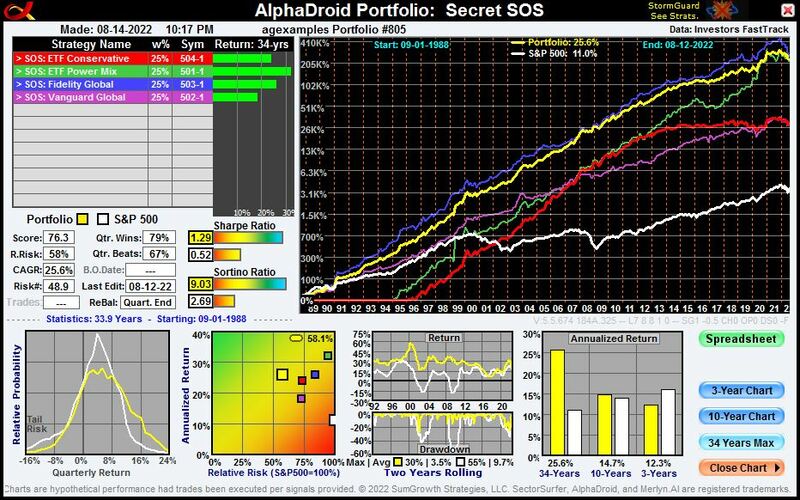 AlphaDroid's True Sector Rotation algorithm determines which one (and only one) of them to own next month. 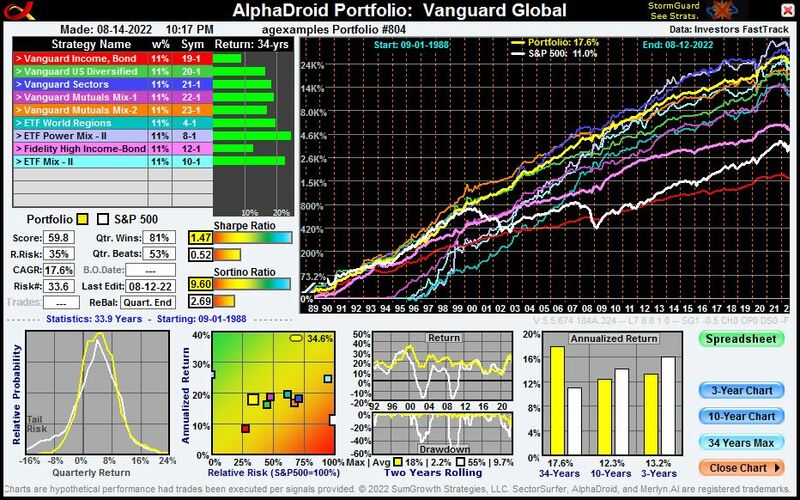 It's only by owning the trend leader and avoiding trend laggards that one can simultaneously improve returns and reduce risk. 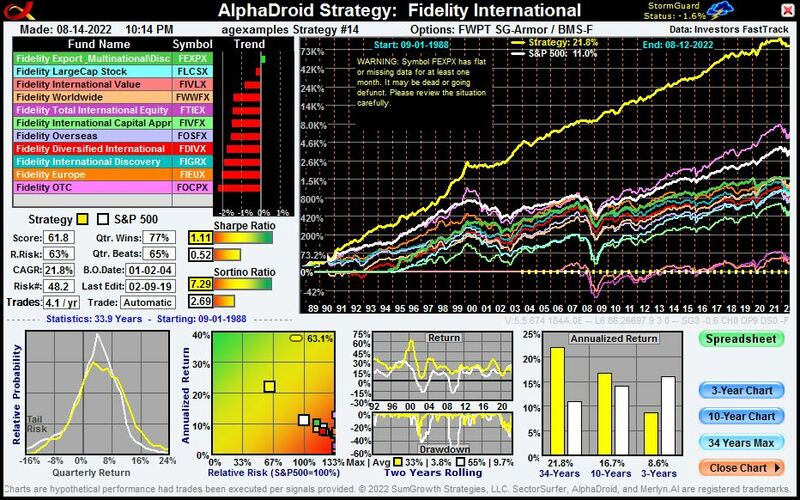 Additionally, there are example Strategy-of-Strategies and Portfolio-of-Strategies in the tables below. A Strategy-of-Strategies (SOS) reduces the risk of hindsight bias by broadening the funnel of funds that contend for leadership. With an SOS you own only the best trending fund of the best trending Strategy. 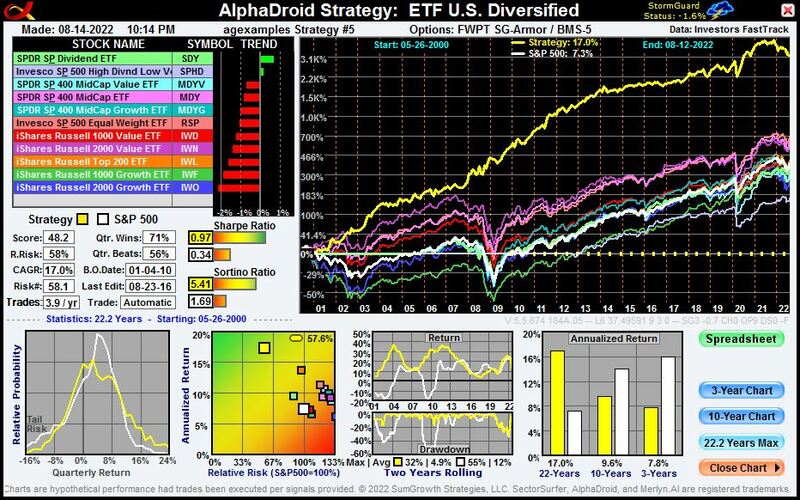 A Portfolio-of-Strategies reduces the remnant risk of individual Strategies in the same way ordinary diversification reduces risk within a fund. Closely examine the risk and return performance of each to understand the ways in which they can improve investment performance. 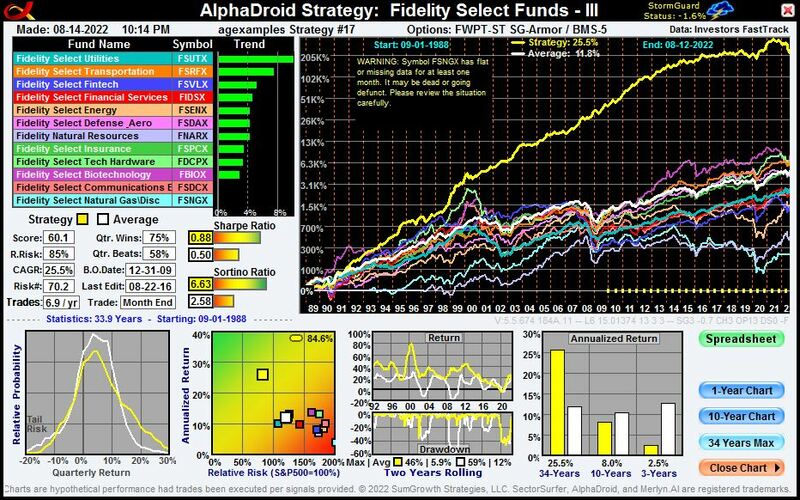 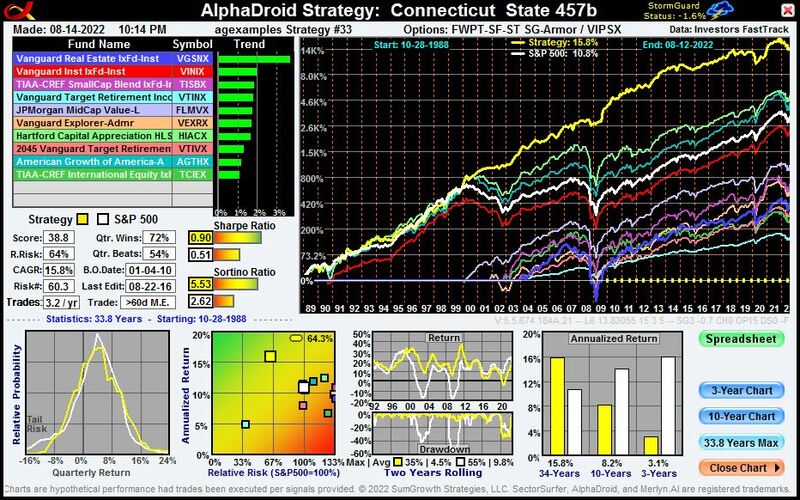 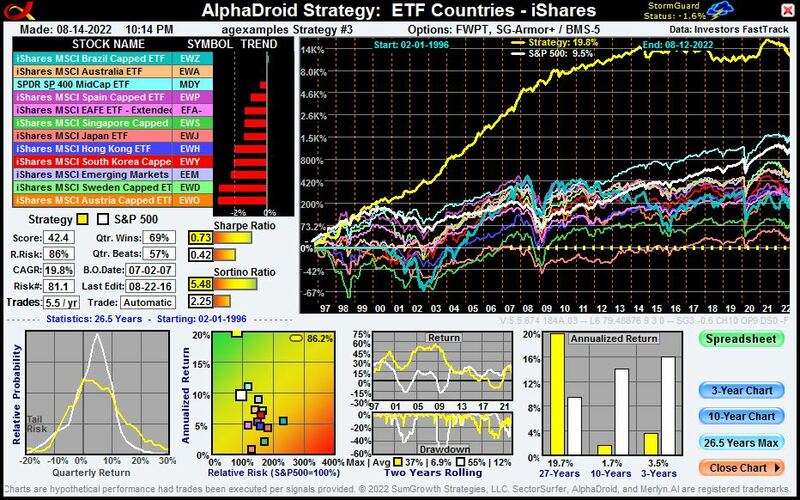 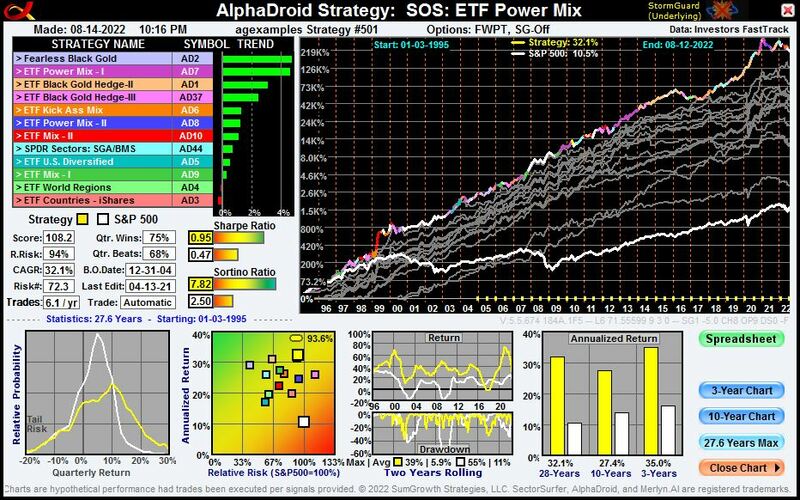 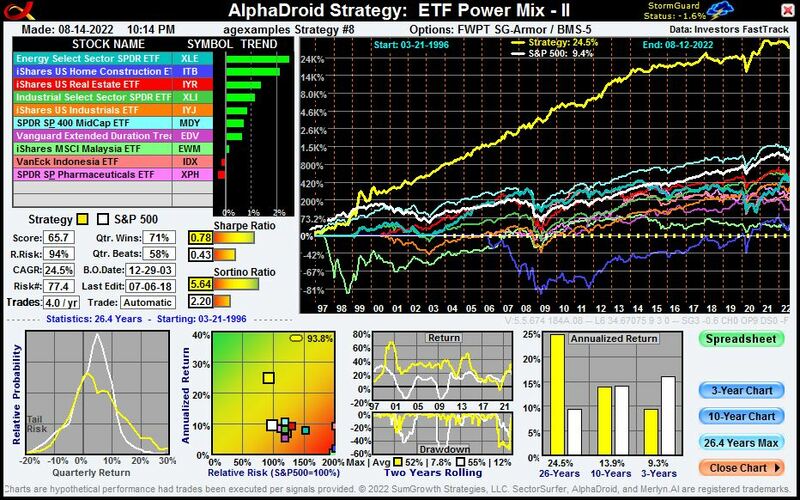 While a SectorSurfer Strategy selects the trend leader from among a set of candidates funds or stocks, a Strategy-of-Strategies (SOS) selects the trend leader from among a set of candidates Strategies. 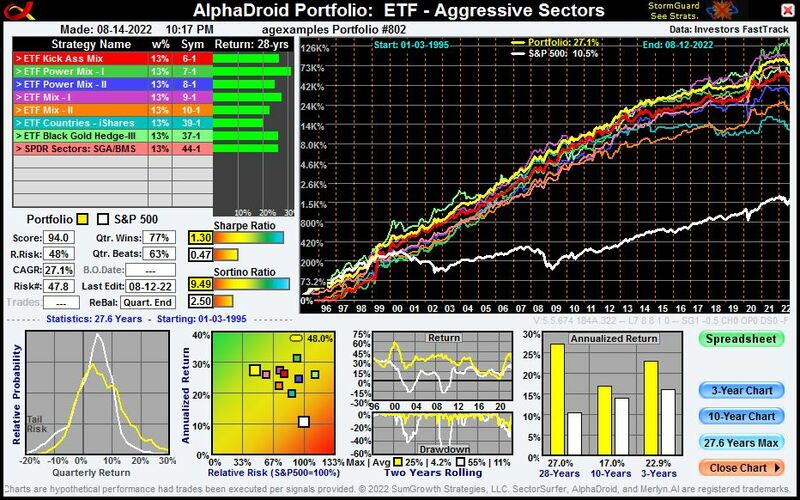 Thus, one owns the best performing fund of the best performing Strategy. The primary benefit of an SOS is to make sure that if the strategy you are using falters for any reason, the SOS will automatically switch you to an alternative Strategy that has not faltered. For example, the Strategy you own could get a "flat tire" for a while in the future because it didn't have the perfect set of candidate funds that provides a continuous sequence of power strokes. 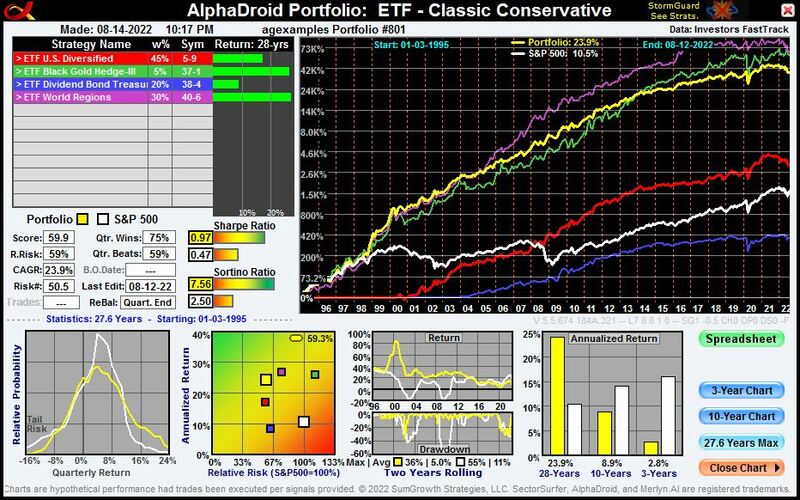 This can easily happen if you choose not to include a particular asset class or sector fund as one of the candidates because it had not performed well for a few years. No one can predict when political events or new discoveries will suddenly change the prospects for a previously poorly performing fund. 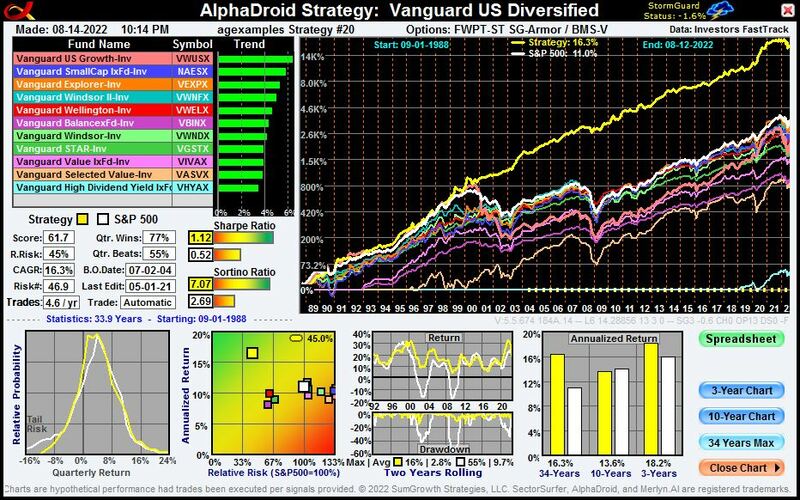 Thus, a Strategy-of-Strategies is a form of insurance designed to reduce the risk of selection bias. Instructions for building your own Strategy-of-Strategies can be found HERE. 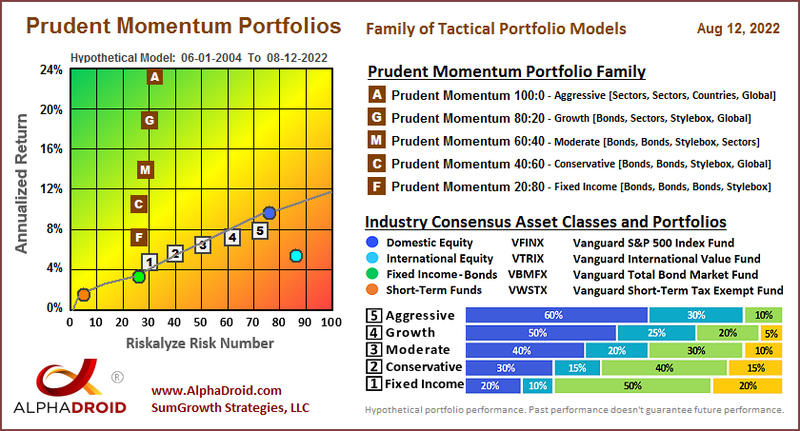 The Prudent Momentum Portfolios may be imported directly into your account on the Portfolios page by clicking the "P" icon and searching the list for the portfolio of interest. You will be asked for your permission to automatically import the supporting strategies for the selected Portfolio.